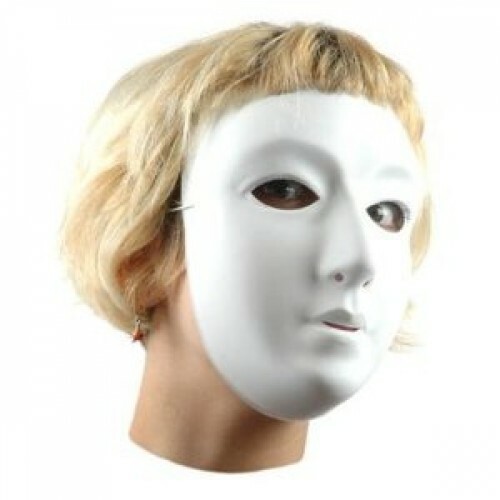 White plastic adult mask . Special price, while stocks last! Excellent for all rehearsal and production requirements.